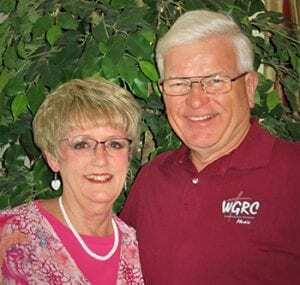 WGRC signed on the air April 22, 1988 as a Contemporary Christian Music radio station after an abundance of prayer, planning, vision-sharing, fundraising, frustrations, hard work and God’s amazing provision. This was the fulfillment of a calling that the founders, Larry & Janet Weidman (pictured), had based on Psalm 40:3, “The Lord put a new song in my mouth; praise to our God; many will hear it and put their trust in the LORD.” Also, Ephesians 5:18-19 was inspirational in the founding of WGRC, “Be filled with the Holy Spirit… singing and making melody in your heart to the Lord.” The goal for the station was to provide a radio outlet featuring quality Contemporary Christian Music and meaningful short programs challenging and encouraging individuals and families to place their faith in the Lord Jesus Christ, to practice Godly living and to make a life-long commitment to making Him known to the world. Before WGRC was able to sign on the air much had to be accomplished. The non-profit corporation that owns WGRC, Salt & Light Media Ministries, Inc. (SLMM), was organized in 1984. In June of 1985 the application for a Construction Permit (CP) was filed with the Federal Communications Commission (FCC). It was over two years later (August 1987) that the FCC finally approved the CP. At that point Salt & Light Media Ministries was then able to move ahead with obtaining additional financing, which was secured through the sacrifices of early supporters. Studio and office space was located and renovated, tower space was secured, broadcast equipment was installed and a staff was assembled! The SLMM Board of Directors, who have always volunteered their services, has provided countless hours of prayerful leadership to the ministry. In fact, volunteers have always been vital to WGRC’s outreach through all of the years!! First Staf f Members: Don Hughes (pictured left) was the station’s first full-time paid employee. Larry Weidman served salary-free as General Manager, while working another job full-time, until he was able to become paid staff in July of 1989. His wife, Janet, served full-time as volunteer office manager for the first two years. A number of part-time employees and volunteers were credited with helping to get WGRC up and running in those early years. A few years later an award-winning full-time news and public affairs team was added. Technology: In 1997 WGRC took a major leap forward by going digital, eliminating the playing of vinyl records, tapes and anything analog. At the same time, WGRC began to stream its programming 24/7 on the internet at www.wgrc.com. 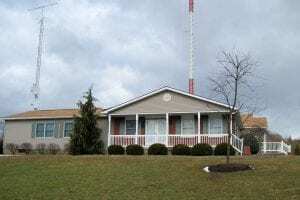 Network Growth: (1988) WGRC started with 5,000 watts of power at 91.3 FM from the flagship location in Lewisburg, PA, and one translator station at 107.1 FM in Williamsport. 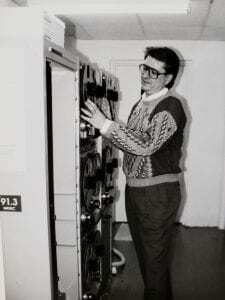 As word spread to other areas, people in those regions became involved in helping WGRC grow its available frequencies in Central PA.
(1990-1999) 107.7 FM in Bloomsburg began along with earlier stations in Pottsville and State College. (2000-2009) During this decade stations formed at 90.9 FM in Lewistown/Mifflintown, 90.7 FM in Williamsport and 101.7 FM in State College. (2010-Current) This decade marked the start of 91.9 FM in Kulpmont and 104.7 FM in Pottsville. Studio Locations: The current tower and transmitter site, studios and offices located at 101 Armory Boulevard, Lewisburg became the permanent home for WGR C in 2000 after over three years in the lower level of the former CVS at 9 North Third Street, and over eight years in the Creamery Building at 150 Buffalo Road. In the Community: Since its inception WGRC has been involved in the communities that it serves with either the sponsorship and/or promotion of over 150 concert events, monthly Christian roller skating fellowships, Bible and other ministry collections, promotion of regional events as well as national Christian happenings with regional implications. As the Lord provides, WGRC continues to be supported, as it has been since its beginning, through the generous support of listeners, businesses and churches. What a testimony of God’s faithfulness through all the years of WGRC’s ministry to Central PA… and the world! The WGRC radio ministry has been ‘on a mission’ from the very beginning… even before signing on the air on April 22, 1988. In fact, WGRC’s ‘Mission Statement’ sums up what this ministry is all about. The statement hinges around four key words: Worship, Grow, Reach, and Connect. 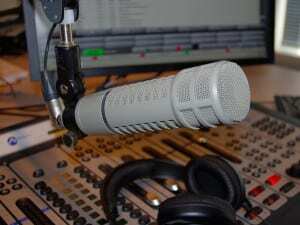 WGRC’s Mission Statement: To engage in daily worship of Jesus Christ, fostering growth in God’s grace for those reached with radio programming that connects with the family and community. – To proclaim the person of Jesus Christ by means of contemporary Christian music programming. – Maintain a radio presence that encourages believers to continually worship Jesus Christ in ‘spirit and in truth’. – To support and strengthen individuals and families by communicating principles of “biblically-based, godly” living. – Adhere to the teaching of the Bible for faith and practice. – Air ministry features with a spiritual, inspirational, informational and challenging presentation. – To draw people to a saving knowledge of and personal relationship with God the Son, Jesus Christ. – Provide technical means necessary to effectively reach the ‘Pennsylvania Heartland’ and the world through the internet. – Broaden the coverage area through translator stations and other radio stations. – Sponsor Christian speakers, music concerts and other outreach programs. – Adopt, as financially able, the latest technological advances to enhance the effectiveness of the radio station. – To provide a wholesome, attractive radio format which will connect with the greatest number of people. – Provide up-to-date news, sports and weather reports. – Provide public service time to area churches and organizations. – Produce public affairs programming relative to issues of community-wide interest. – Sharing together in fellowship through speaking opportunities and other events. In need of a speaker for your church, business, or group event? If so, consider a member of the WGRC staff. We seek to impact Central Pennsylvania with an encouraging message of life in Jesus Christ. Call 1-800-546-WGRC in advance with details about the event and speaking commitment. You can also email the information to email@wgrc.com.